I am appalled to admit that I hadn’t walked on the Tobermory Lighthouse Path since Teenager was at Tobermory Playgroup. It was lovely to walk it again last week, now that the path has been so beautifully repaired. To find the start of the path you need to walk along the main street, all the way to the end, beside the Calmac pier. Look for the RNLI shop and just beyond it, the path begins. It winds along the cliff, affording lovely views of the Sound of Mull and whatever sea traffic happens to be out there! You get a wonderful view of Ben Hiant (which we can see from Treshnish too! ), Ardnamurchan’s tallest hill, and into the pretty settlement of Kilchoan. I think it is just over a mile to the lighthouse. There is another route via the golf course which I haven’t done. 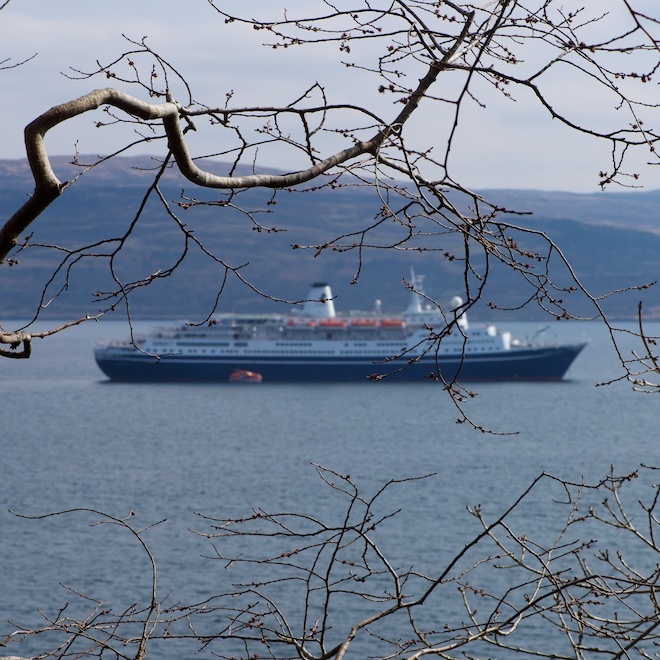 Look out for the Calmac ferries and in the summer, the cruise ships! This ship was moored in the Sound of Mull and ferried its passengers back and forth to Tobermory in small boats! David and Thomas Stevenson built the lighthouse, called Rubha nan Gall, in 1857. It was manned by lighthouse keepers until 1960 when the light was automated. Rubha nan Gall means Strangers Point. The Northern Lighthouse Board look after it now. The lighthouse cottages are seperate and owned privately. 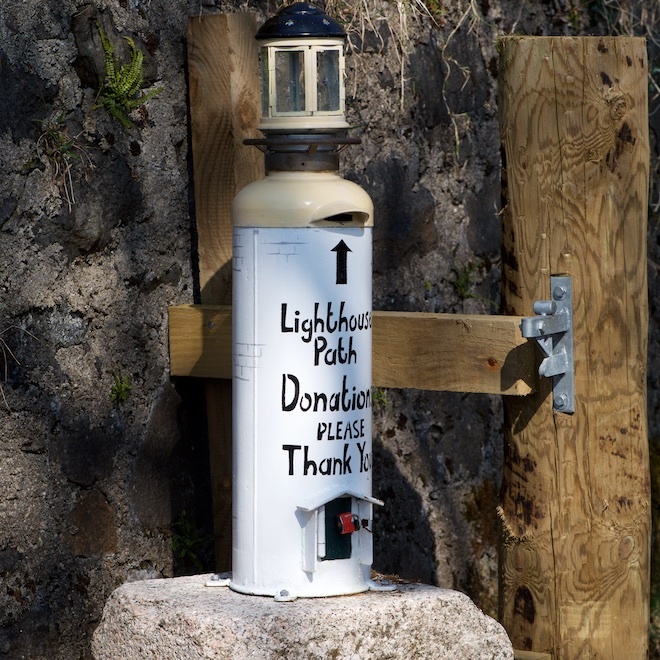 There is a donations box at the start of the walk. Repairing the path to a safe standard recently cost about £13,000. Despite local fundraising there is still a considerable shortfall. 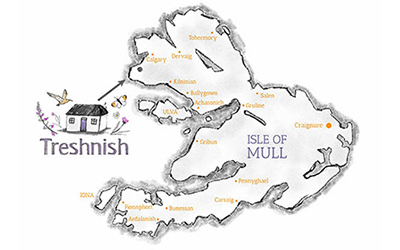 The project was managed by the Mull and Iona Community Trust and they have a fundraising page. 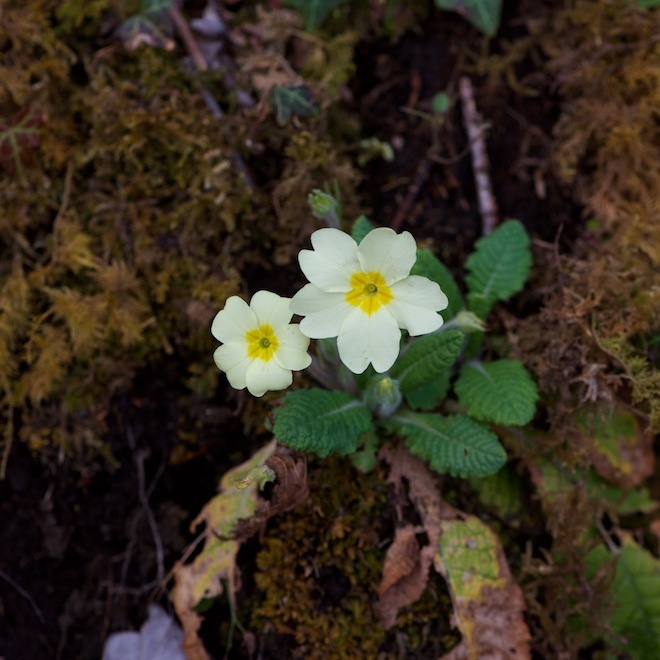 We saw lots of Primroses, Wild garlic, and Celandines, and soon there will be lots of Bluebells.